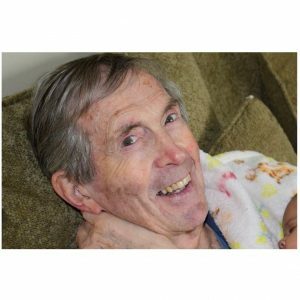 Mr. Hoyt Richmond Martin, born on August 17, 1934 in Reno, Nevada, passed away at age 83 on June 14, 2018 in Portland, Oregon. He graduated from Reno High School in 1952 and University of Oregon in 1960. Hoyt served in the Army Reserve from 1950 to 1961 where he obtained an appointment to Annapolis. He returned to Reno after college and was the Credit Manager at J. R. Bradley Co. until 1975. Hoyt served as President of the Reno Rotary and on the Board of directors of the YMCA. He then went into the Landscape industry at P&S Hardware as a manager of the Landscaping Division until 1982. Upon returning to Oregon, he went into Public Relations at Multnomah Bible College until 1993, in the Sod Farm Industry at Ready Turf Farms as a manager until 1999, and in the Aviation industry at Huntleigh USA as a Regional Training Manager until retiring in 2016. Hoyt was the beloved husband of Mayvis. He is survived by his sons, Troy and Todd; daughters, Cheryl (Pritchard), Dawn (Potter), Abigail, and Priscilla; stepdaughter, Lori (Page); brother, Gary; sisters, Betty Jo and Audrey and many Nieces, Nephews, Grandchildren and Great-grandchildren. 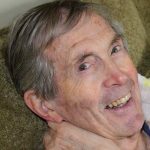 Hoyt had a passion for reading and gardening. He played racket ball and loved all sports. Since retiring he loved visits from his newest grandchildren. He was a member of Church of God. He will be missed by everyone who knew him and enjoyed his happy positive attitude. A private celebration of life will be held in Oregon in July.